With the looming Easter sweets season, most candy companies are busy seeing how many different ways they can cram their chocolate bars and peanut butter cups into the shape of an egg or a bunny. The minds behind Twix though, are focused on another gimmick entirely this spring. Across the pond in England Mars, makers of the shareable candy bars that you always chose to eat alone, released Twix spread. It’s just the thing for people who want to eat a candy bar but can’t be bothered with the seven seconds it takes to unwrap one. It looks like Mars is putting the sweet, elderly billionaire who owns Nutella on notice: Hazelnuts and chocolate will no longer go unchallenged in the marketplace of unhealthy, spreadable deliciousness. 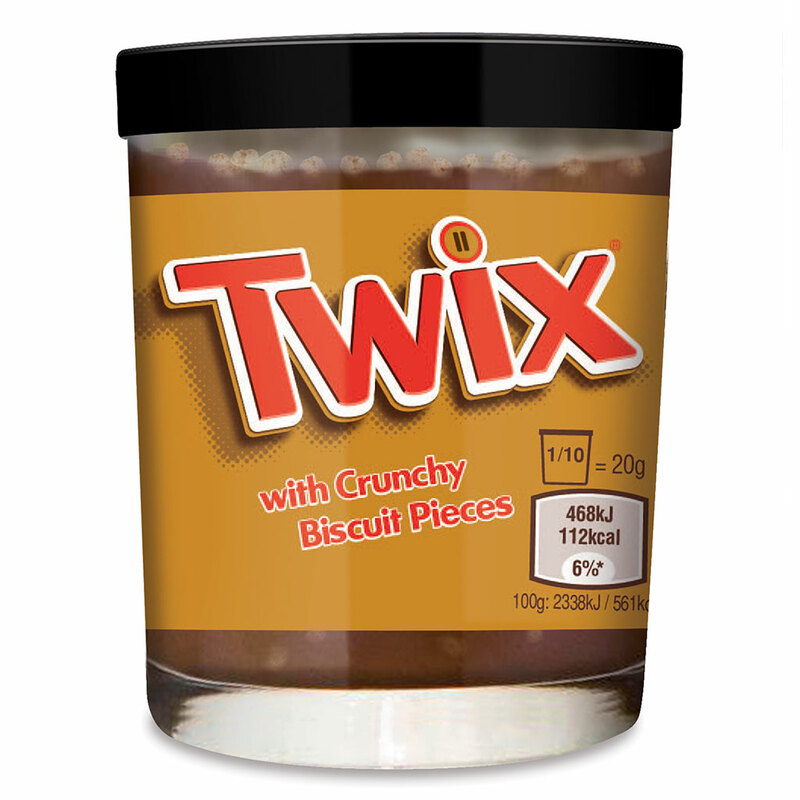 Unfortunately for us, this version of Twix looks to only be available in Europe at this point. So we definitely see a Change.org petition from American Twix fans on the horizon. Let’s see if we can get the presidential candidates to take a stand on candy spread protectionism.